It is interesting to me reading these two very different takes on Bice in concert at the above mentioned concert. 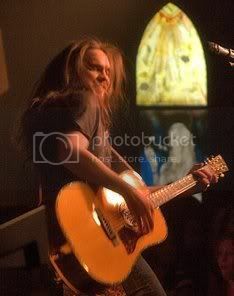 "I met Bo Bice in his dressing room after he finished his set, which was VERY cool. He's a very mellow guy, and very kind. I didn't want to disturb him so I just popped my head in to say a quick hello, but he welcomed me in and we chatted for a little bit. He even said that he liked my performance! He didn't get to see it but he heard it from backstage. 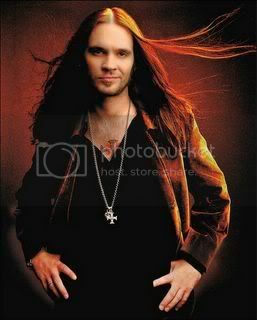 But the absolute HIGHLIGHT of the night was that Bo Bice gave me a congratulatory tequila shot! I told him he should take the shot with me, but he said he couldn't take hard liquor anymore. So he chugged on a beer while me and one of his friends took the tequila shot. I must say... that was a fricking awesome moment! I didn't really get to meet The Click Five, but I don't really care much for that band anyways. My little sister did take a picture with them, though. I don't know if it was just bad timing when I met them for the little bit that I did, but they seemed like they only like to hang out with themselves. I'm sure they always like to meet their fans, but I guess backstage it's a different story." 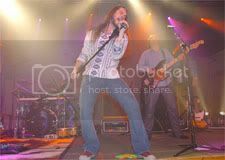 "While Bice certainly belted out his songs, from "U Make Me Better" to an impassioned cover of the Allman Brothers' "Whipping Post," he seemed detached from his performance. He rarely spoke between songs, encouraging little audience enthusiasm other than a few predictable shouts of "I love you!" The reporter adds, "By contrast, the Click Five engaged easily with the audience, whose members danced, clapped along and sang nearly every song of the 45-minute set. That spirited reaction wasn't too surprising, given how catchy the group's songs are: the bouncy "Just the Girl" sounded like a sequel to Fountains of Wayne's "Stacy's Mom," while the rocking "Pop Princess" was reminiscent of Cheap Trick." This "Washington Post" reporter, an obvious Click 5 fan. I have to say I don't get it, Click 5 seems to me like another Boy-Band trying to be The Beatles. 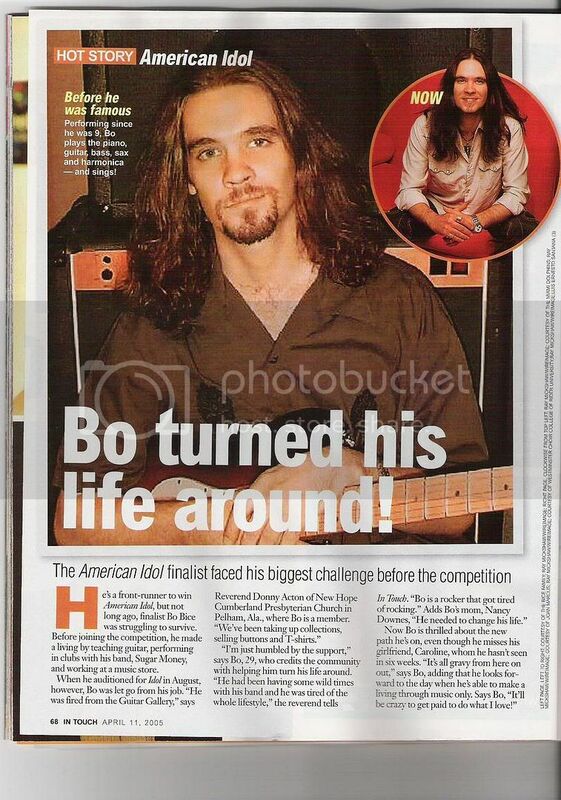 Regardless Bicefans, I doubt that Bo Bice, his family, grandmother, wife or dogs could really give a care about what this "Post" reporter has to say. 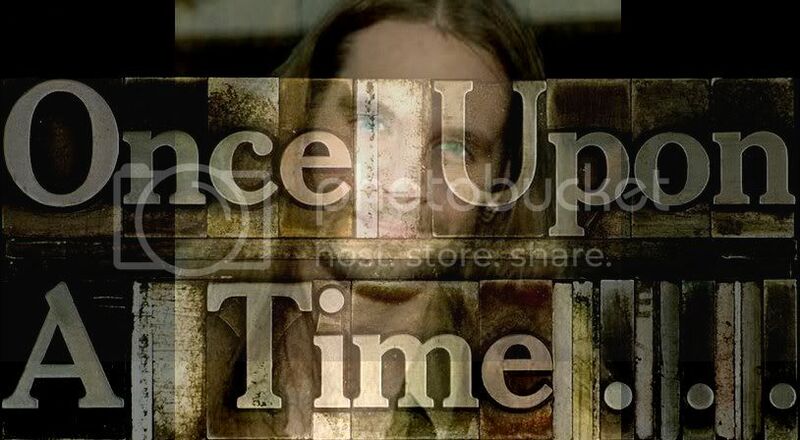 I can more appreciate what a fellow musician (Gian Cruz)has to say about Bice. The fact that Bo treats fellow musicians and the folks backstage with kindness and consideration speaks loudly about his True Nature. Entertainers are expected to "come alive" for the paying public. Check out the links and decide for yourself.